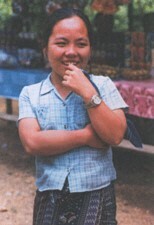 The Lao Lom people of Thailand had never been studied until Joachim Schliesinger identified and profiled them in 2001. There are approximately 25,000 Lao Lom living in three distinct areas of northern Thailand: Dan Sai District of Loei Province; Lom Kao District of Phetchabun Province; and Tha Bo District of Nong Khai Province. The Lao Lom in Nong Khai live a stone's throw from the Mekong River, while the other two groups live further inland. 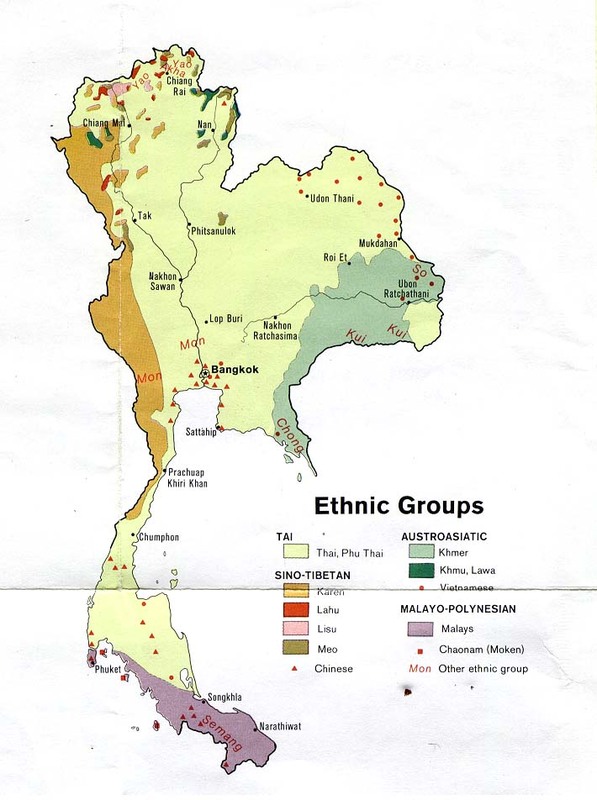 To identify the Lao Lom as a distinct ethnic group, Schliesinger first had to unravel the confusion surrounding their name. He found that they are known by different names in different locations, depending on the name of their village. Those living in Loei Province are often called Tai Loei or Tai Lei, while those in Nong Khai are known as Tai Dan. He discovered that despite this collection of names, the people of all three Lao Lom communities share a common historical link and a common ethnolinguistic heritage. In these modern times the Lao Lom women do not wear their traditional dress, but the elderly can still remember the black vest with coloured threads at the hems, thick vertical white stripes and a black turban adorning their heads. The Lao Lom liked to further decorate themselves with silver jewelry around their arms, ankles and waist. The north-east region of Thailand is the home of some of the most exotic food in the world. The Lao Lom 'hunt in the fields for snakes, rats, grasshoppers, snails and other insects, and catch fish in the rivers with hooks and nets'. They also raise animals such as water buffaloes, ducks, chickens and pigs for consumption. Traditionally a bride price was required before a Lao Lom woman's family would release their daughter for the wedding. A value was placed on each girl according to her beauty, health and family's social standing. These days a Lao Lom groom may pay as much as 80,000 baht (about US$2,000) for an attractive wife. After the wedding it is customary for the newlywed couple to move in with the bride's family. Like most Buddhist groups in this part of Asia, the Lao Lom also believe in a complicated array of spirits. Ceremonies are held several times each year at which the community must make offerings and prayers to the guardian spirits of the village, in a bid to ensure wealth and prosperity. Failure to fulfill these obligations is believed to bring disaster from the offended demon. There are no known Christians among the Lao Lom people. View Lao Lom in all countries. Location in Country: There are approximately 25,000 Lao Lom living in three distinct areas of northern Thailand: Dan Sai District of Loei Province, Lom Kao District of Phetchabun Province, and Tha Bo District of Nong Khai Province.